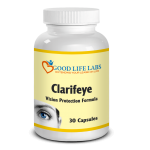 Improves memory, mood, clarity and focus. 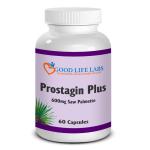 Protects against mental decline, depression, anxiety and dementia. Developed by neuroscientists to fuel your brain with the right combination of vitamins, herbs and naturals to improve and preserve long term brain health. Immediately increase brain energy, reduce stress and sharpen thinking. Best in Class formula developed by neuroscientists with an all-natural blend of pharmaceutical grade ingredients. A mix of cognitive enhancers, nutrients and modulators in one daily formula. 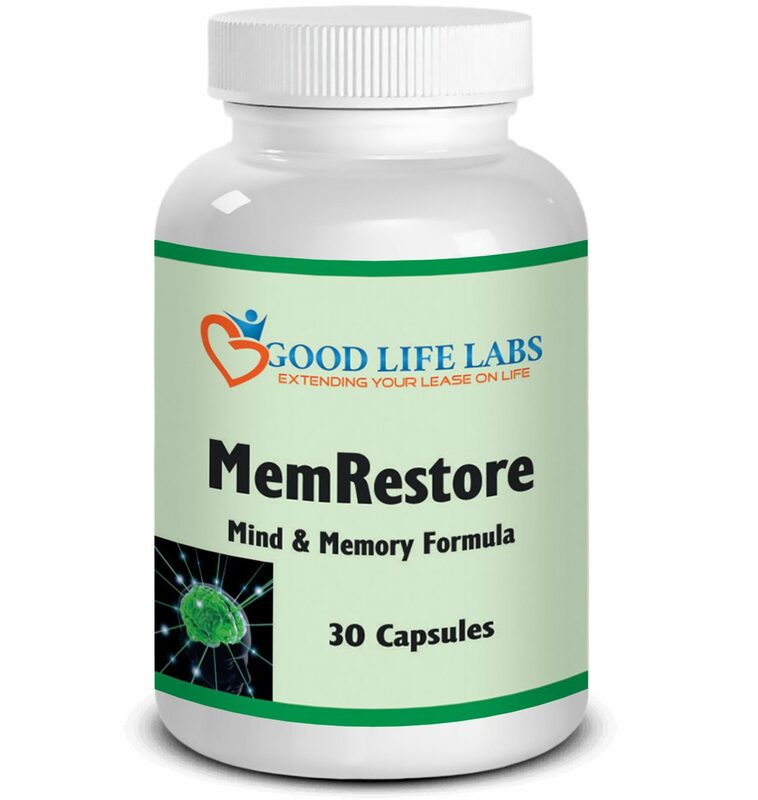 Mind and Memory Formula was developed with one purpose, to restore and maintain mental health. Damage to brain cells inhibits the ability of brain cells to communicate. When cells cannot communicate then thinking, behavior and feelings are affected. Each region in the brain is responsible for different functions, it is vital to keep all regions of the brain healthy to carry out all of its functions. INCREASE MEMORY AND INCREASE ATTENTION-Reduce brain fog and fatigue, benefit from 50X better concentration and focus to get more done in your day without the side effects of caffeine or sugary energy drinks. With every dose increase alertness and energy keeping you one step ahead. BUILD BRAIN CONNECTIONS-Resveratrol is found in the skin of red grapes and has gained a lot of attention for its anti-aging and disease combating benefits. Resveratrol protects nerve cells from damage and builds brain connections by reversing the buildup of plaque that can lead to Alzheimer’s. IMPROVE BRAIN FUNCTION-Start your engines and fuel your brain! Glutamine is one of the few compounds that can cross the blood brain barrier and be used by the brain for energy, which is why it is commonly called “brain fuel”. 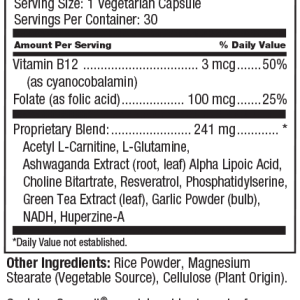 Contains a blend of 15 herbs, vitamins and minerals that are perfectly formulated to protect and improve brain function. BETTER REASONING, JUDGMENT AND MOOD-B12 supports myelin, which allows nerve impulses to conduct, when this vitamin is deficient, it has been suspected to drive symptoms such as dementia, multiple sclerosis, impaired gait, and sensation. In the general population, 4 out of 10 people and 27% of depressed patients present with a severe B12 deficiency. 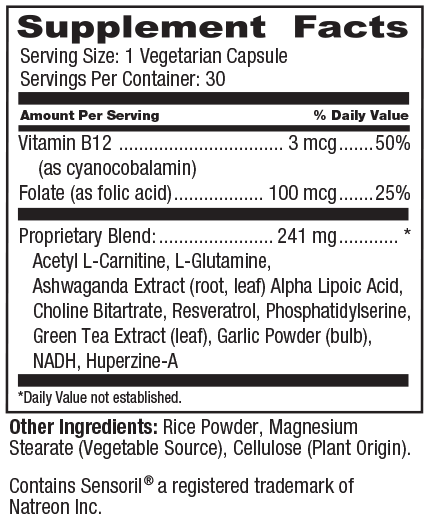 B12 is best known for its role in red blood cell production supporting a clear mind and better reasoning and judgment. PRESERVE COMMUNICATION AND LANGUAGE-Fluid communication and preserving the language processing function of the cerebral cortex are benefits of mind enhancing nutraceutical Sensoril, a patented natural compound of optimized ashwagandha. Sensoril alleviates stress and anxiety to preserve communication and language skills. VISUAL PERCEPTION-With age, lack of sleep, and environmental exposures comes a decrease in brain function. These events kill brain cells and slow cell signals, causing visual perception to decline and focus to become hazy. With each daily dose take action to retain your visual perception. Feed your brain the best cognitive enhancer and top mental focus supplement! 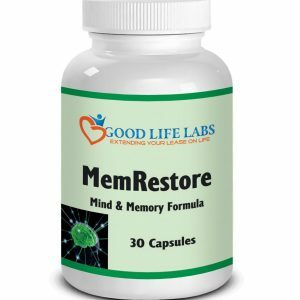 MemRestore Mind and Memory Formula is delivered with Micro Absorption Technology to support and protect healthy brain function. 100% Vegan and Manufactured entirely in the USA. 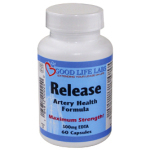 Take with Good Life Labs Total Immune Support Formula to experience the Compound Effect. I’ve been taking Mind-Memory since last semester. I think if you want academic success you need to take care of your mind as well as your body. I have improved concentration and focus. 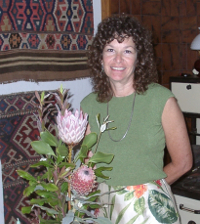 I have been living in fear of alzheimers since my mom was diagnosed at age 77. I’ve done some homework and found these mind and memory supplements which I have been taking every day. I feel so much better and less worried now that I am feeding my brain.